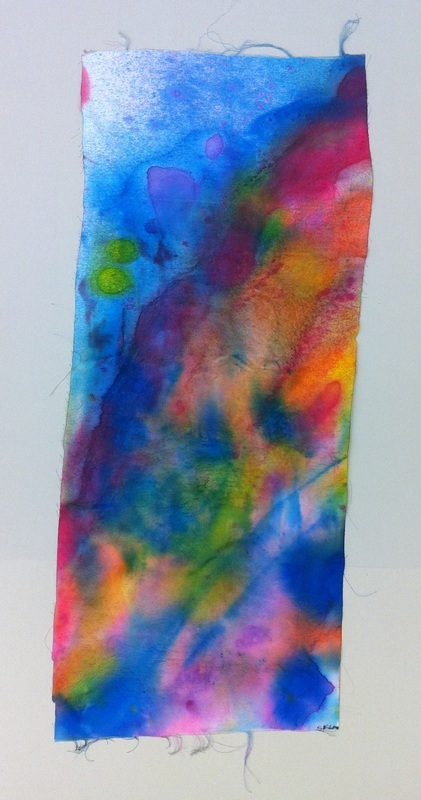 Students were introduced to the artwork of Sam Gilliam. 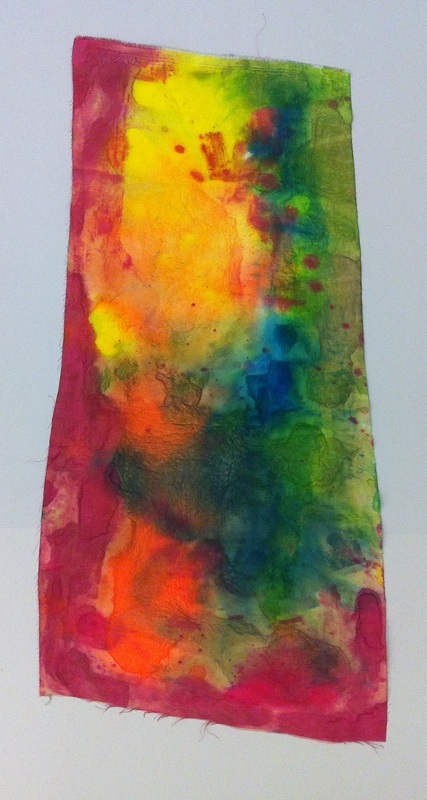 The students created panels using fabric dye inspired by Gilliam's abstract paintings on canvas and fabrics. Students were asked to consider how colors may be used symbolically to represent elements of nature, music and poetry. First the students identified specific colors to symbolize the following prompts: a rainy day, summertime, and the night sky. Then students listened to a poem by Ashley Bryan. They listed colors based on descriptive words in the poem. While the students began their project, they listened to music by Miles Davis and Jack Johnson. Students were asked what colors they thought represented each song. 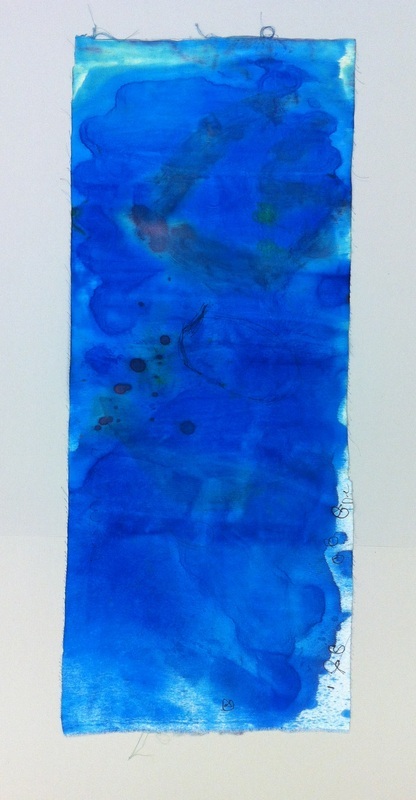 One student explained he pictured the color blue for both musicians, but for the slow Miles Davis song he imagined a dark blue, and for the Jack Johnson song he imagined a lighter blue because it was happier. 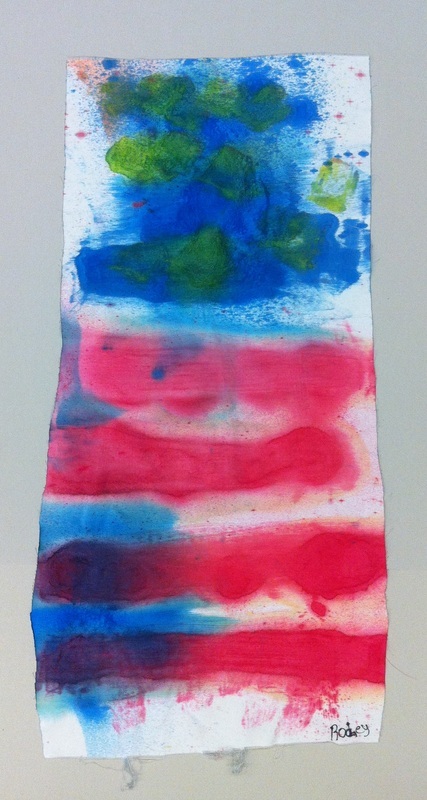 Students experimented using the fabric dyes by painting with brushes, drips and spray bottles to achieve different techniques on their individual panels.